Actor. He is best remembered for his role of ‘Marshall Matt Dillon’ in the long-running television Western “Gunsmoke” (1955 to 1975). 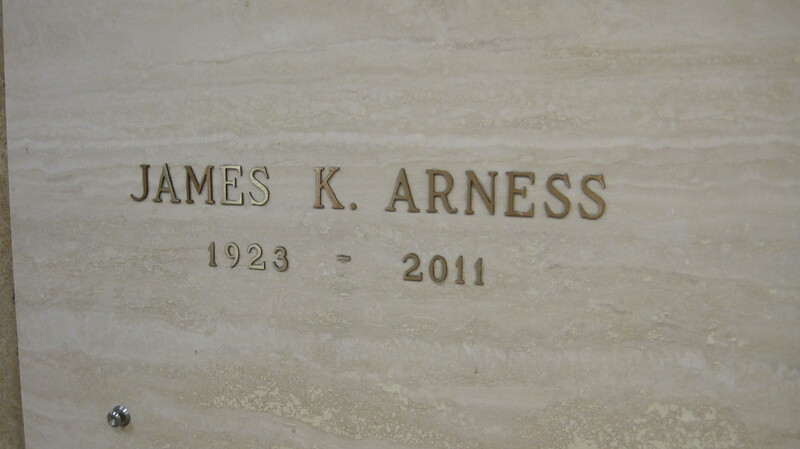 Born James King Aurness, his father was a traveling salesman, his mother was a newspaper columnist. 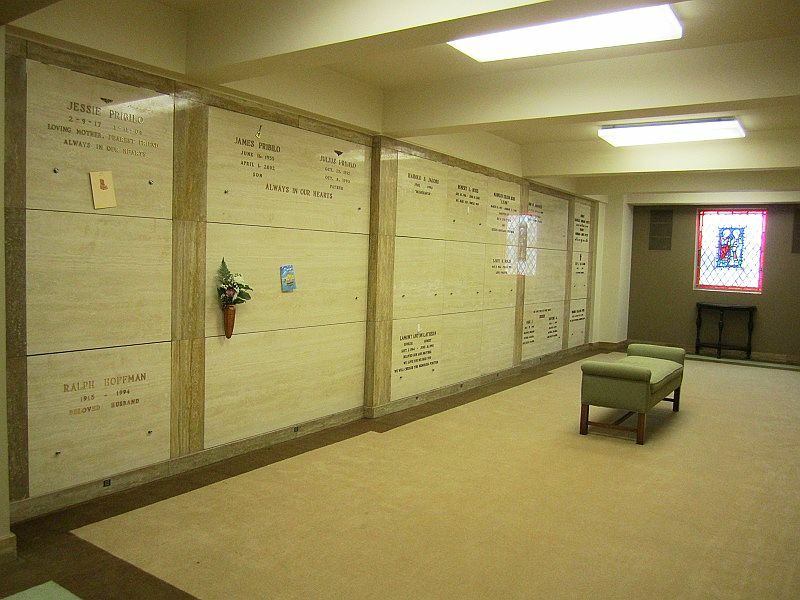 He briefly attended Beloit College in Wisconsin before his service with the USA Army during World War II. He would suffer severe leg wounds (he was recipient of the Purple Heart and Bronze Star) during the Anzio landing and after his recovery and return home, he joined a theater group, earning a living as a advertising man and real estate agent. He launched his career in entertainment as a radio announcer in his hometown of Minneapolis, Minnesota in 1945, and marked his motion picture debut two years later in the film “The Farmer’s Daughter”. Further movie roles followed with “Battleground” (1949) and “Sierra” (1950), however his casting (due to his large physical frame) in the title role for the classic science fiction film “The Thing from Another World” (1951), and his part in “Them!” (1954), is how movie audience may perhaps best remember him. After the concept for “Gunsmoke” was conceived, producers originally had John Wayne in mind for the part of Matt Dillon. 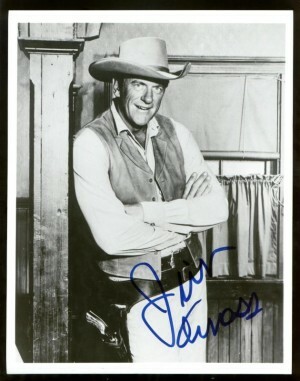 However, Wayne would pass on the role and refer it to his friend James Arness. During his 20-year tenure as television’s Dodge City law enforcer, Arness garnered three Emmy Award nominations and later became familiar to television audiences for his role in the series “How the West Was Won” (1978 to 1979) and as Detective ‘Jim McClain’ in “McClain’s Law” (1981 to 1982). He was the recipient of a star on the Hollywood Walk of Fame. He was the older brother of actor Peter Graves. He died from natural causes.